Making your office conference room nice just got easier! 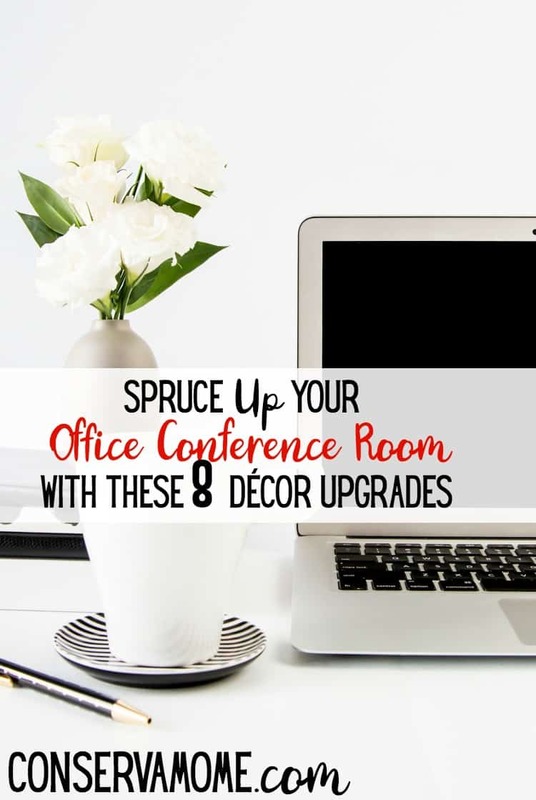 Check out these 8 Décor Upgrades to make any office look it’s best! Your boss comes in and rounds up the division-heads for a conference. You sit in a room with your colleagues listening to the presentation. But you lose focus and start to doodle in the day’s hand-out. You also feel fatigued and pray for the meeting to end before its time. Seems familiar? You will most certainly blame the presentation method or rope in the “boring topic” excuse for your defense. But what if we point out that there is one significant element that contributes to the general mood in the room? The décor of the room also has a psychological effect on you. Don’t believe us? Studies have established that the décor of room shadows over the performance of the individuals. So, you must be wondering how to spruce up your own. Have no worries, you have arrived at the article. We have listed below some suggestions to help you achieve your aim. Aside from being a decorative touch, they have a functional aspect too. While adding a dash of color they do not impose on the design elements. Plants also have a hand in changing the ambiance to a calming and relaxed state. The best type to go for would be the artificial ones. These need no maintenance and are available in the market. Artificial plants are available in all forms and sizes and it all boils down to the type of specimens you buy. There are fake palm trees which are sure to attract attention and even more when paired with an artificial boxwood topiary or silk ferns. Silk hydrangea or pink silk tulips are always available year-round if you would want to add that dash of color you were looking for. It is a well-documented fact that colors have an effect on the human mind. Influencing our behaviors and decisions. It’s called Colour Psychology. Next time you feel fatigued inside that room, make sure to take a look around. The human brain reacts much better to warm colors for those informal meetings. It also adapts itself to the accentuated hues present in the rooms saved for those formal poker-faced conferences. Light orange or yellow color scheme is better used if you would want to infuse energy and optimism in the room. The shades of pale blue and accentuated cream hues are best reserved for serious meetings. They help the individuals to focus and drives up productivity. If your company has an official brand color, use it as they are likely to achieve better results. Most of the conference rooms aim to increase their productivity by taking on a heavier workload. But that’s not the only way. Light also has an adverse effect on human productivity if used on a shoestring. This can be seen by holding a meeting in a dimly lit room. There will be a stark reduction in their productivity. Natural light is best suited for this purpose. They are free, available in plenty and bring a positive change to the décor. When paired with neutral tones they allow the room to be perceived as more spacious and airier. In case you hold a meeting in the other half of the day, you can use ambient lighting. Ambient lightings make the room brighter and more spread the light over the broad area. These are much cheaper than its competition making the investment in it more sustainable in the long term. If your company has its own official mission statement then it’s time to use it. Display the mission statement in the conference room as it reminds the occupants about their ultimate goal. Hence, they will be able to focus and be more effective. If you don’t, no worries. Hang up a framed piece of art on the adjoining walls. You have to make sure that the hues used do not impose on the décor. You should not be fooled by the simplicity of the painting. They silently weigh into uplift the décor. Invest in the high-end modem-router setup to have a smoother experience and lag-free video conferences. Not only will these be a one-off investment, but they are also more likely to be aesthetically pleasing and be slimmer in design. Use top-notch projector-screen equipment to enjoy a hassle-free presentation. If you own a bulky wall-mounted screen then go about replacing it with a less intrusive design. These preferences help to improve the décor too. For those looking for a modern yet simplistic transformation of their décor, we’d suggest you go for a neutral tone with printed straight lines. Additionally, make sure to balance the room with your recent changes. Furthermore, having a carpet with neutral tones allows you to focus on more pressing matters at hand. Go for a sublime outlook if you’d prefer this suggestion. You can achieve this by making the furniture more noticeable. If you’d prefer the antique look, go for one made of wood and with intricate carvings. If you’d rather go for the modern outlook, we’d suggest the plush leather chairs for a grand setting. You can also swap out the table by using complimentary design and material. There are available quite a lot of shapes in the market. Try one out for a funky approach. During important meetings, it is pertinent that nothing should disturb it. So, if ruckus near the water cooler is the reason why your boss holds you responsible, don’t sweat. Soundproofing the conference room provides you with the peace of mind you are looking for. They are best utilized for high-valued meetings. As they don’t come cheap, it’s important to plan out your requirements before committing to it.